Following the publication of an article that charged a United Nations agency involved in wildlife with having lost its credibility and relevance in much of Southern Africa, a major non-government organization sprang to its defense. Not surprising. The non-government agencies (now known as BINGOs — Big International Non-Governmental Organizations) have invested so much in having the Secretariat of CITES (Convention on International Trade in Endangered Species of Wild Fauna and Flora) fulfill their anti-trade goals that they cannot let it stumble. But rather than respond to one of the principal issues in the article — whether banning trade in ivory and rhino horn actually increases poaching — the WWF (World Wide Fund For Nature) tried to change the subject by claiming that “there isn’t really any appetite” for the ivory trade in Africa. I found the response to be typical of a neocolonial mentality that continues to believe that the “higher races” know what is best for Africa. Sovereign African states in general and those from Southern Africa, in particular, have long suffered from the fact that their tonnes of stockpiled ivory and rhino horn cannot be traded. Why? Because organizations like the WWF have continuously and ruthlessly pushed CITES to ban trade in these African resources. Would it be okay for an international non-governmental organization, such as Greenpeace, to use its money and public support to bully the United States into stopping the use of oil because it contributes to global warming? How is it therefore all right for a private group to tell a sovereign state what to do with its natural resources? Isn’t this just another ugly, selective and racially-tainted example of neocolonial thinking? Worse, doesn’t advocating a ban on all ivory and rhino horn trade also encourage increased elephant and rhino poaching? Doesn’t the profit in banned products increase when there is no decrease in demand? 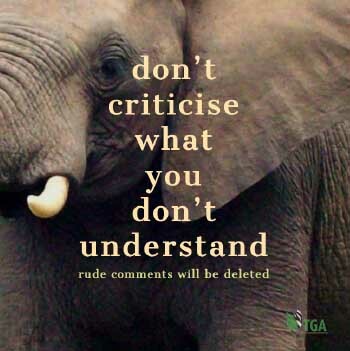 The simple fact is that the current policies of CITES, supported by the WWF and other animal rights groups, are a failure. If they worked after 43 years of doing more of the same thing, would some elephant populations and rhino herds still be in decline? Telling Southern Africans, who are struggling with an elephant overpopulation problem, not to trade in their abundant ivory supplies triggered an immediate string of angry statements. Some of Southern Africa’s top conservationists said that such an unfortunate statement from the WWF is insensitive to the region’s needs. 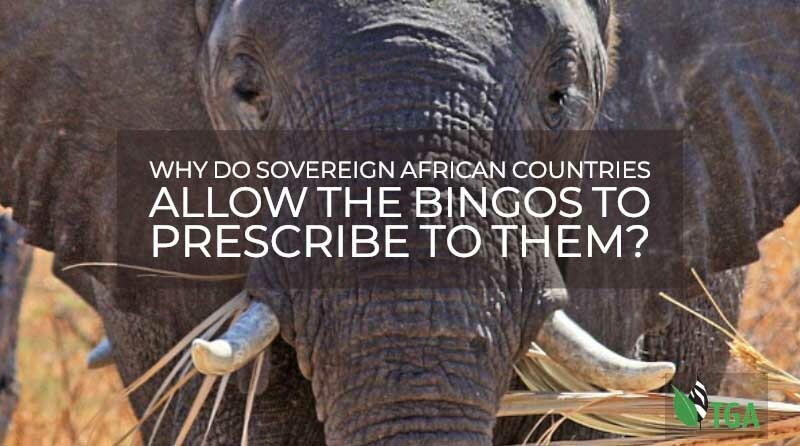 That point raises the question, “How long should Southern African countries continue to surrender their sovereignty to the BINGOs that are in the habit of dictating wildlife policy to them?” The answer is simple. They should reclaim their sovereignty over their wildlife resources before the start of the CITES CoP18 in May 2019 meeting in Colombo, Sri Lanka. Western animal rights groups are robbing Southern Africa of the rights they regained from the Western colonialists. Now those who still harbour a colonial and racist mentality want to take back our land, using wild animals, particularly rhinos and elephants, as their cover. Southern African countries should demand and defend their sovereign right to trade in the wild animals that occupy their land. If each country took back its clear right to control the natural assets within its borders, rhino and elephant poaching — and the corruption linked to illegal trade in their horns and tusks — could soon be a thing of the past. “The animal rights groups have become so emboldened by the money they are able to raise and spread around the region that they are willing to threaten the sovereignty of the Southern African states,” said Los Angeles-based Ivory Education Institute Managing Director, Mr. Godfrey Harris. About the writer: Emmanuel Koro is a Johannesburg-based international award-winning environmental journalist who has written extensively on environment and development issues in Africa.